While the pizzas are understandably the restaurant’s big draw, Mozza is so much more than a pizzeria. 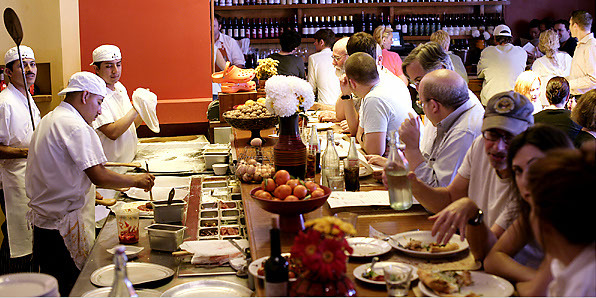 A collaboration of prominent Los Angeles restaurateur Nancy Silverton and New York-based partners Mario Batali and Joe Bastianich, Pizzeria Mozza is a delectible, casual dining experience with mouth. Ricotta-stuffed squash blossoms cloaked in a delicately fried tempura batter, and an appetizer of tender meatballs, accompanied by a slice of grilled bread are some of the atypical appetizers that you wouldn’t normally expect as a pizzeria. 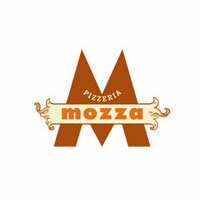 Perfect for lunch or dinner, Pizzeria Mozza delivers a suculent take on pizza that you can’t find anywhere else. Offers Vero Water to their guests for $4 per bottle.